Pittstown, NJ - A 113-year-old New Jersey woman is the new holder of the title of oldest American. Adele Dunlap became the country’s oldest person earlier this month following the death of Goldie Michelson, of Worcester, Massachusetts, The Record newspaper reported (http://bit.ly/29VvKkY). She also is the 10th oldest person in the world, according to the Los Angeles-based Gerontology Research Group, which tracks supercentenarians, people 110 or older. Dunlap taught school before marrying and settling down to raise the couple’s three children. Her husband worked for an insurance company and died in 1963. She doesn’t give an explanation for her longevity, and her 86-year-old son, Earl, is also at a loss to credit any particular thing for his mother’s long life. Despite the fact she was born Dec. 12, 1902, in Newark, she often gives a younger age when asked how old she is. 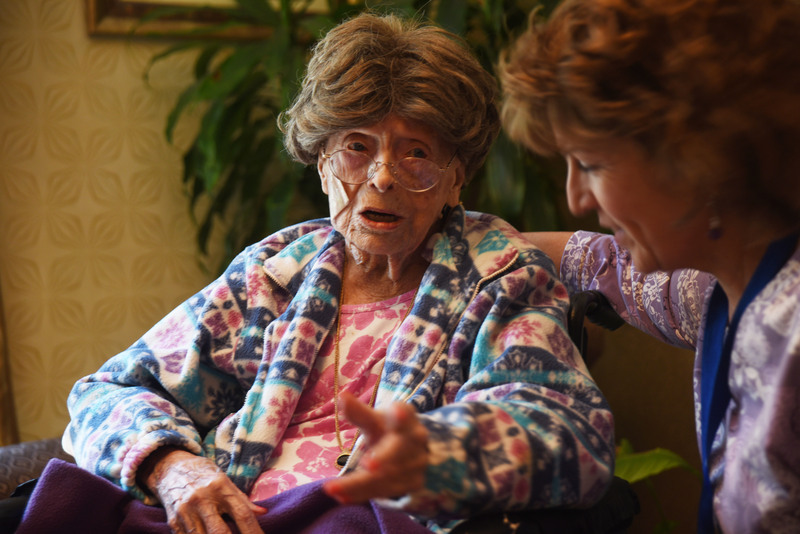 “Last year, when we were telling her it was her 113th birthday, she said, ‘No, no, no, I’m only 102,’” recalled Susan Dempster, the care center’s activities director. Dempster said Dunlap is a passive participant in daily activities and socializes minimally, but looks forward to Girl Scouts’ coming to sing Christmas carols. Its called an observant jew u ignoramus! For a change were seeing an erlicha yidene instead of the white haired halfa yidden. Im proud!!! Is not adele a yiddish name? Where in this article does it say this woman is Jewish?